Yes, cookies are an excellent choice for a sweet treat at Christmas but sometimes you need to set aside your childish desires and move on to a more mature dessert, a dessert that deserves to be eaten with plate and fork. 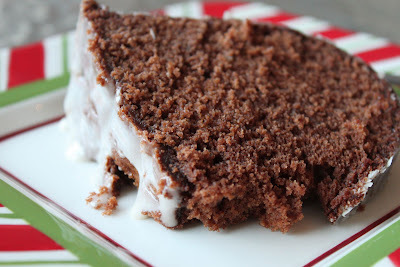 This tall, handsome cake should be savored while sitting on a couch in front of a roaring fire, the twinkling Christmas lights illuminating your smiling face as you bite, taste, and ponder. I suggest giving your children some of the cookies and sending them to bed. They would not be able to appreciate the depth of chocolate flavor that runs throughout this luscious specimen. 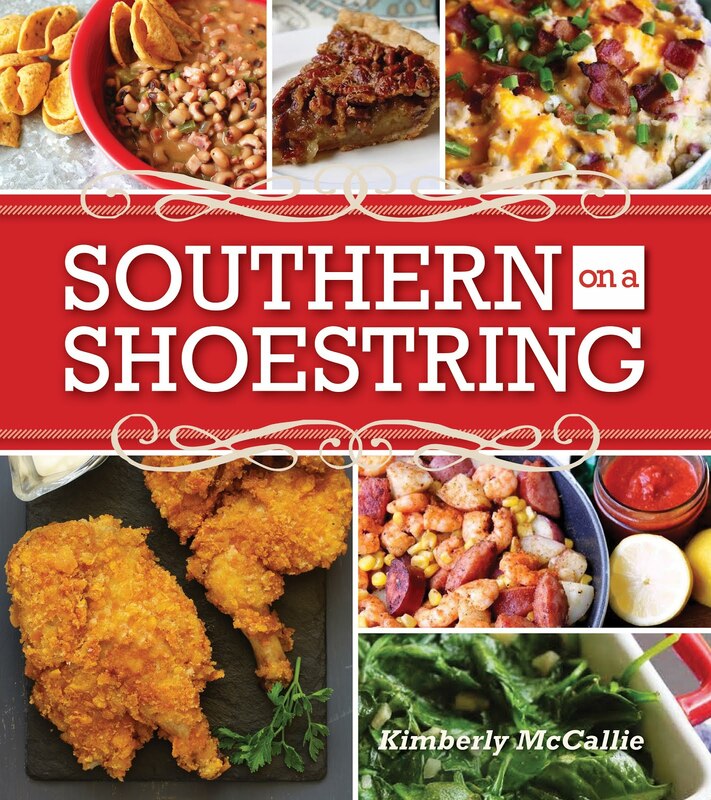 The recipe is from Southern Living's 1001 Ways to Cook Southern, copyright 2010. Preheat oven to 325 degrees. Melt chocolate in a microwave-safe bowl at HIGH for 30-second intervals until melted (about 1-1/2 minutes total). 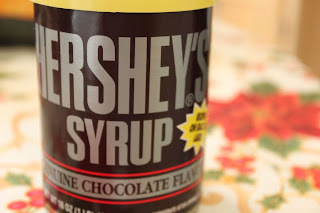 Stir in chocolate syrup until smooth. 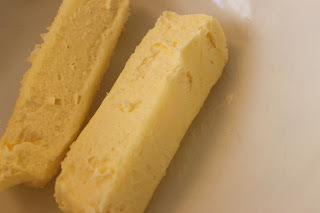 Beat butter at medium speed with an electric mixer until creamy. 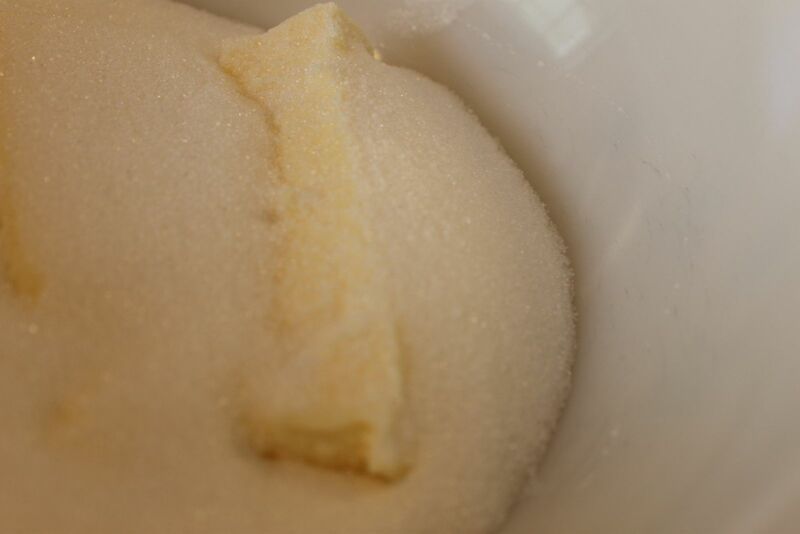 Gradually add sugar, beating a medium speed until light and fluffy. Add eggs, one at a time, beating just until blended after each addition. Sift together flour, baking soda, and salt. 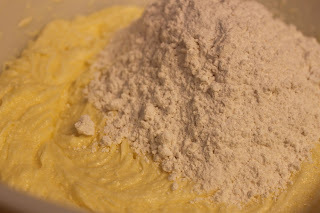 Add to butter mixture alternately with buttermilk, beginning and ending with flour mixture. Beat at low speed just until blended after each addition. 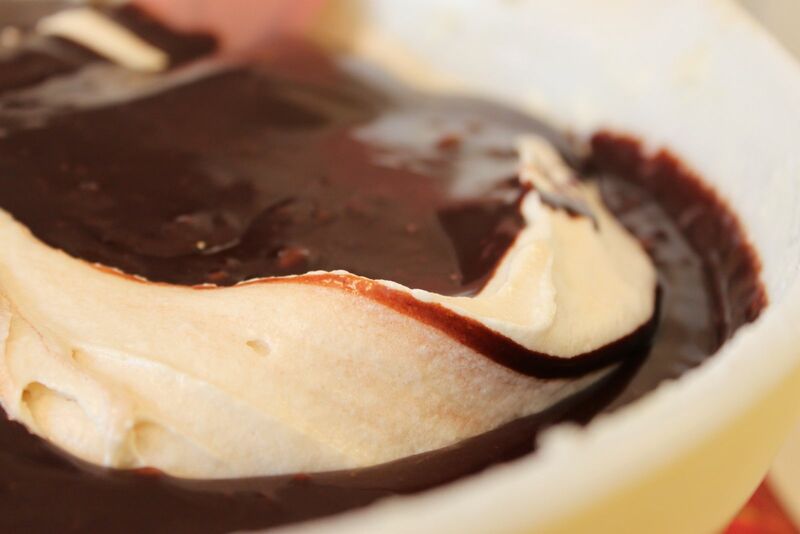 Stir in vanilla and melted chocolate until just blended. Pour batter into a greased and floured 14-cup Bundt pan. 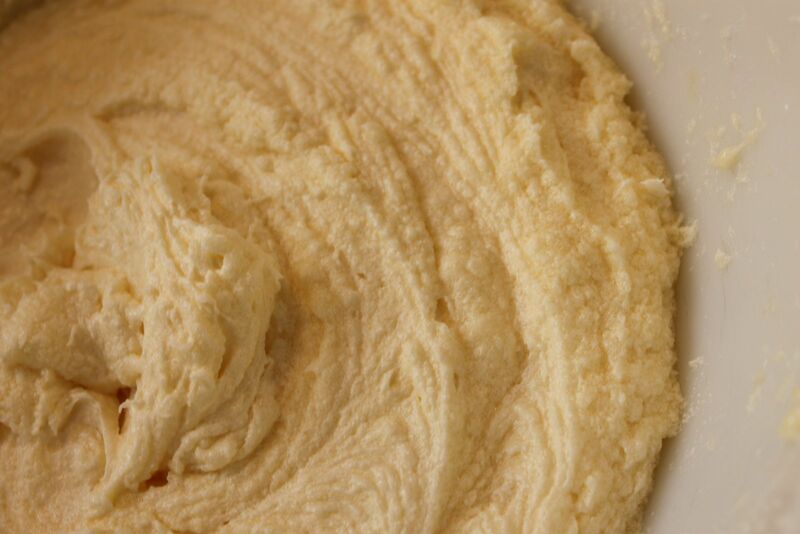 Bake at 325 degrees for 1 hour and 20 minutes or until a long wooden pick inserted in center comes out clean. Cool cake in pan on a wire rack for 15 minutes; remove from pan to wire rack, and let cool 30 minutes or until completely cool. Garnish, if desired. 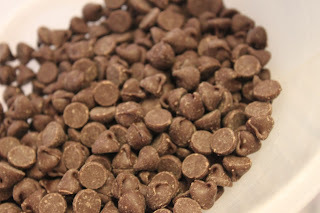 I decided to use semisweet chocolate chips instead of baking chocolate. This is 1-1/2 cups of chips that I melted in the microwave. 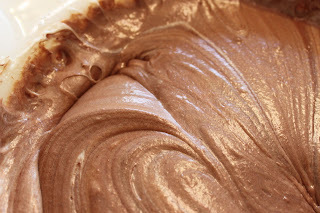 Stir the two together until smooth and set aside. Start the cake batter with two sticks of softened butter. Followed by two cups of sugar. Mix together until well blended. Add in the eggs, one at a time. 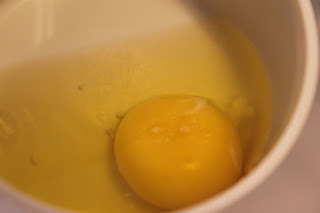 I always break my eggs in a separate bowl to make sure I don't get a bad egg or broken shells. Things are looking pretty good so far. 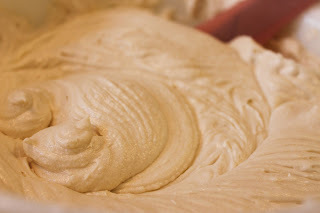 Add 1/3 of the dry ingredients and mix well. 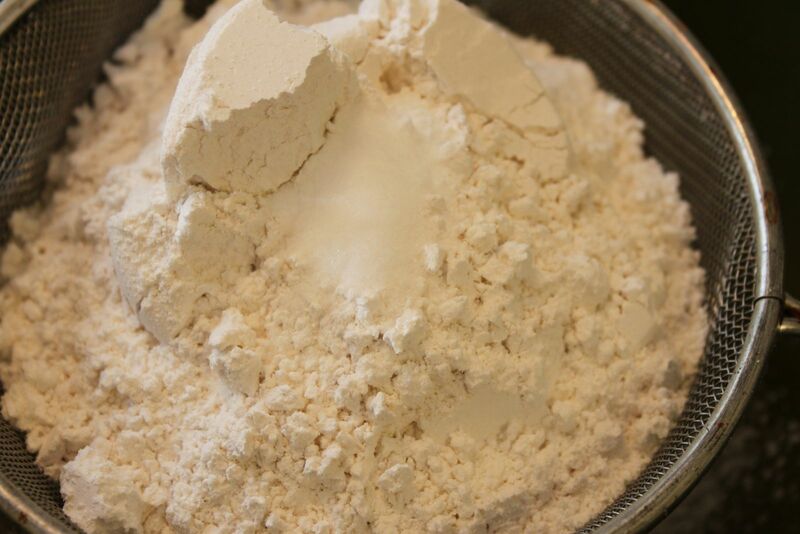 Add half of the buttermilk and mix well. Repeat these two steps and end with the last 1/3 of flour. 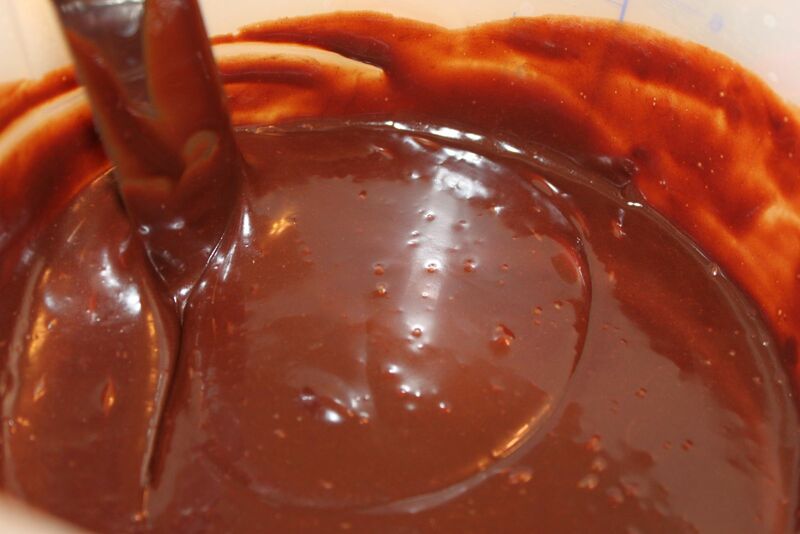 Stir in the vanilla extract and reserved chocolate. 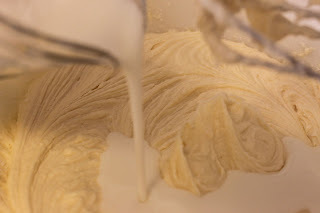 Do mix use mixer! I poured the batter into a bundt pan that I had prepared with shortening and baking cocoa. I didn't want to have any flour ruining the crust. Also, before preparing the pan, I wanted to see how large my pan was. So, I measured out water and filled the pan. I found out that my pan could only hold 10 cups of batter. I used the excess batter to make some mini cakes. 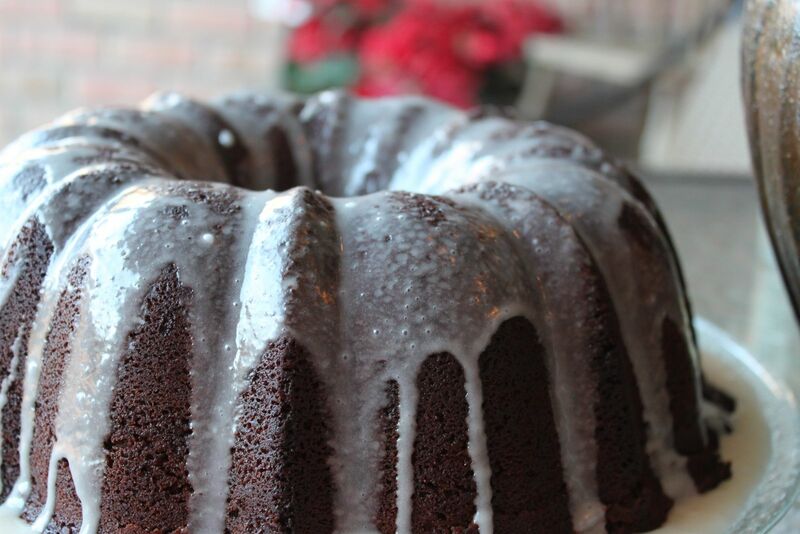 You'll definitely want to test your bundt pan or use a larger tube pan when you bake this. I whipped up a glaze of powdered sugar, milk, and vanilla. Of course, it really doesn't need anything but your lips. 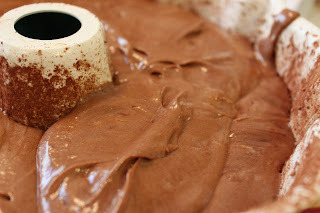 This cake is so moist and rich. Bake this cake as a gift to yourself - you deserve it!